Are your family members visiting Canada with Super Visa? Do they need to purchase emergency medical travel insurance? We can help with super visa insurance! 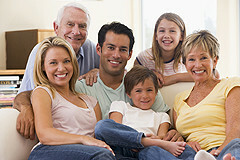 This plan provides protection for unexpected medical emergencies while in Canada and for side trips outside of Canada. Its ﬂexible coverage offers a 10 day free look period and 24/7 access to an experienced staff of multilingual assistance professionals to help with a variety of medical emergencies that may happen along the way! Coverage for Pre-Existing Conditions. Certain restrictions apply. The above is a brief summary of coverage. Please refer to the policy documents for complete details. Both the Essential Plan and Premier Plan are underwritten by Old Republic Insurance Company of Canada, and in Quebec, by Reliable Life Insurance Company. Our super visa plans provide you with the necessary components of emergency medical travel insurance along with 24 hour emergency medical assistance. Plans are available from 7 days up to 18 months! Plans with $25,000-$150,000 in coverage are available to travellers over 14 days old and under 85 years of age during their entire period of coverage. Side trips are covered as long as each side trip begins in Canada and is no more than 45 days in duration. At the time of any claim outside of Canada, the accumulated stay in Canada during the Period of Coverage must be more than 50% of the accumulated coverage days under this Policy. Side trips can not be to the insured’s country of permanent residence. c) of any age if mentally or physically disabled. ARE YOUR FAMILY MEMBERS APPLYING FOR SUPER VISAS? If so, they are required to purchase at least $100,000 in Canadian medical coverage for at least one year. Great news – they meet this requirement of super visa by purchasing one of our plans with a $100,000 or $150,000 plan limit! There is no coverage provided for any Pre-Existing Condition or Medical Condition that is present on Your Start Date. a) For ages 69 and under on the Start Date of the policy, the Pre-Existing Condition or Medical Condition was Stable and Controlled during the 180 day period immediately prior to your client’s Start Date. Any lung condition including but not limited to chronic obstructive pulmonary disease (COPD), asthma, chronic bronchitis or emphysema. c) For ages 80 and over on the Start Date of the policy, there is no coverage under the policy for any Pre-Existing Condition or Medical Condition that was present on your Start Date. WHEN CAN I PURCHASE THE ESSENTIAL OR PREMIER TRAVELANCE PLANS? Before or Before or after arrival in Canada – however it is recommended that a plan be purchased in advance to ensure coverage begins promptly upon trip departure. The effective date shown on their Policy Confirmation. iv) 7 days for a Sickness if your Start Date is more than 30 days from your Departure Date. the Expiry Date as shown on your Policy Conﬁrmation. Important: The rates are subject change without notice, please confirm the final price with your agent. Travel insurance coverage is subject to eligibility, limitations and exclusions. For complete terms, benefits, conditions and exclusions, please see the policy documents (Essential and Premier) . If You require medical Treatment for a Sickness or Injury during Your Period of Coverage as outlined in these policies (Essential and Premier). You must contact the Emergency Assistance Provider as per this policy. It is a condition precedent to liability under your policy that at the time of application, you are in good health and know of no reason to seek medical attention. For illustration purposes only. This is not an insurance policy. For complete terms, conditions, limitations and exclusions, please see the policy booklets (Essential and Premier). Please read and understand your policy (Essential or Premier) before you travel. Old Republic Insurance Company of Canada, and in Quebec, by Reliable Life Insurance Company.